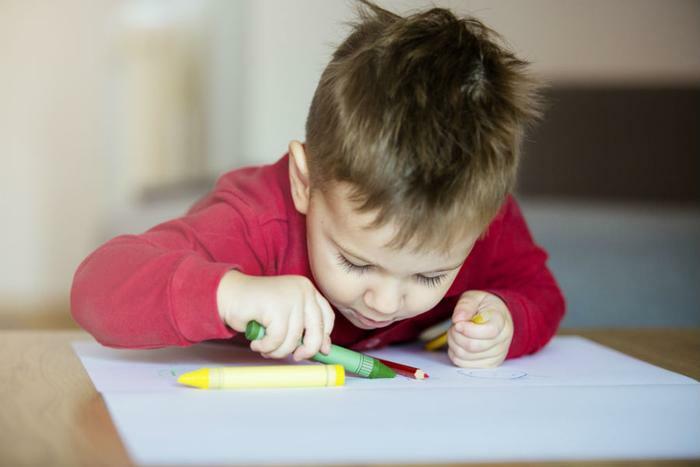 Some crayons sold at Dollar Tree stores across the U.S. have trace amounts of asbestos fibers, according to recent tests by the U.S. Public Interest Research Group (U.S. PIRG), a consumer advocacy group. Playskool crayons tested positive for asbestos fibers, which can cause serious health problems -- including breathing difficulties, lung disease, lung cancer, and mesothelioma -- when the particles are inhaled or ingested. "The good news is that when we were testing three years ago, all sorts of brands came back with asbestos," said Kara Cook-Schultz, toxics director at the U.S PIRG, a group that conducts annual tests of school supplies. "Now it's just this one." In addition to Dollar Tree stores, Playskool brand crayons are also sold on Amazon.com, eBay, and DollarDays.com. In light of the test results, the organization is calling on these retailers to remove the crayons from their shelves and online listings. “There is no reason to be exposing kids to a known carcinogen, especially in crayons," Cook-Schultz said. In a statement regarding the test results, Dollar Tree executives said independent tests have shown that crayons on its shelves do not contain asbestos. "The safety of our customers and associates is our top priority," Randy Guiler, vice president of investor relations, told The Washington Post. "We are aware of the report and have since re-verified that each of the listed products successfully passed inspection and testing." “We are aware of a report of trace amounts of asbestos being detected in a small amount of product testing conducted by a private group and are reviewing our own certified lab testing, which to our knowledge, passes all regulatory requirements and had no detectable asbestos,” added a spokesman for Leap Year. Additionally, the report found that blue three-ring binders made by Jot and sold at Dollar Tree tested positive for phthalates. Phthalates were recently included on a list of chemicals that can be dangerous to children, due to the fact that they are linked with asthma, obesity and lower-IQ scores. Dry erase markers made by Expo and The Board Dudes also tested positive for carcinogenic BTEX chemicals, such as benzene, xylene, and toluene.